All grades can be accessed via gradelink. Your child will be participating in the Accelerated Reader (AR) program. If you have additional questions please feel free to contact your child’s teacher or librarian or visit the Accelerated Reader website. Wondering if a book is in the AR catalog? 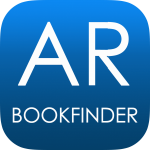 Go to AR Bookfinder! All required items for the school year can be found on page two of our school supply list.